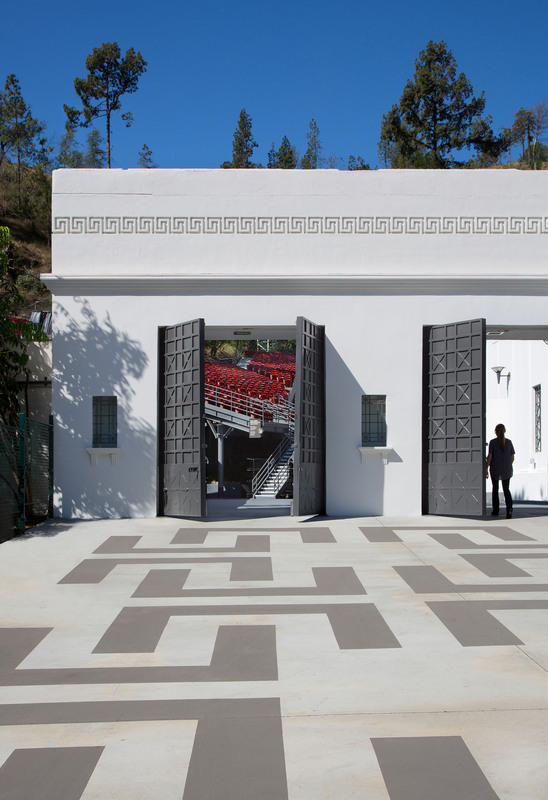 Our renovation of the Greek Theatre improves the experience for visitors and performers alike and sheds light on the Greek’s long and illustrious history. 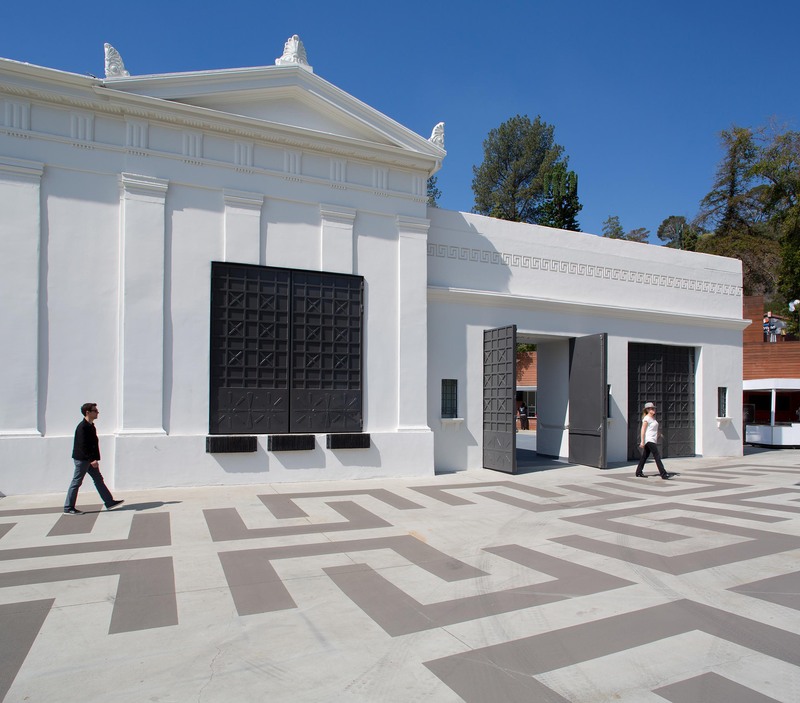 In the main entry plaza, we removed the downspouts, furniture, landscaping, and other clutter that obscured the beauty of the Greek’s original 1929 building. 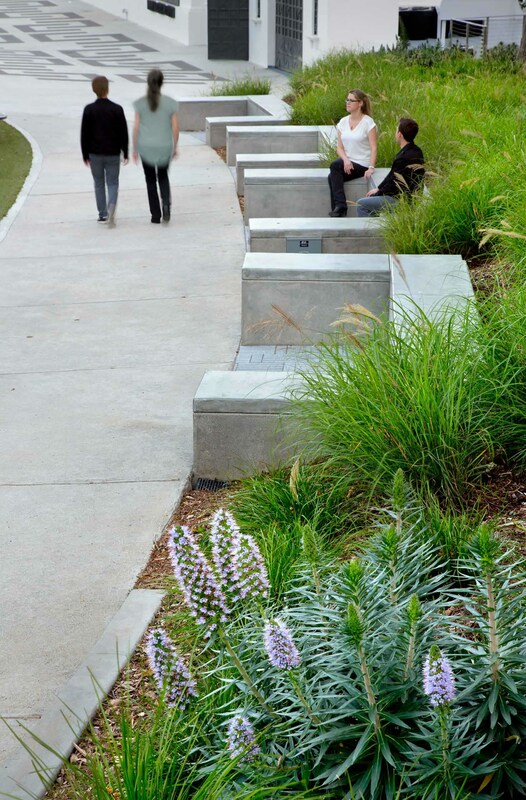 Clearing this plaza allowed us to create an elegant, expansive space where guests can grab a bite or a drink before the show. 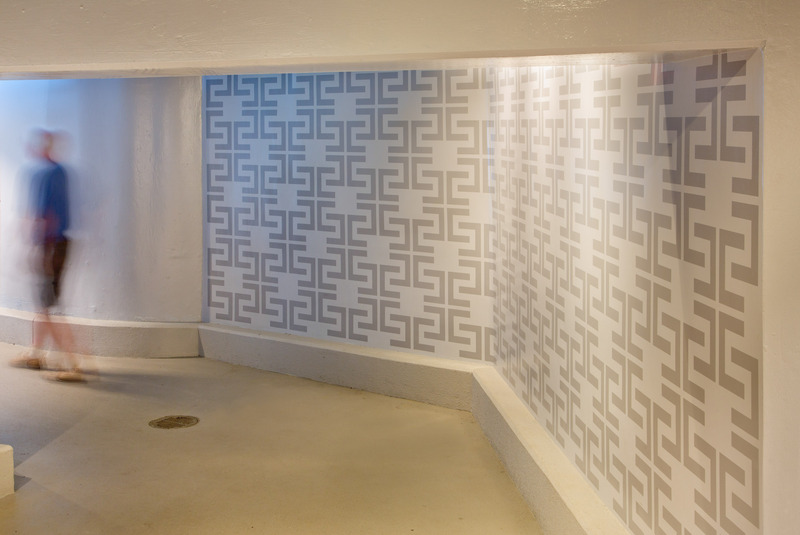 We painted a repeating “Greek key” pattern onto the concrete to give the plaza a Hellenic look, and to direct guests to restrooms and other “key” public areas. 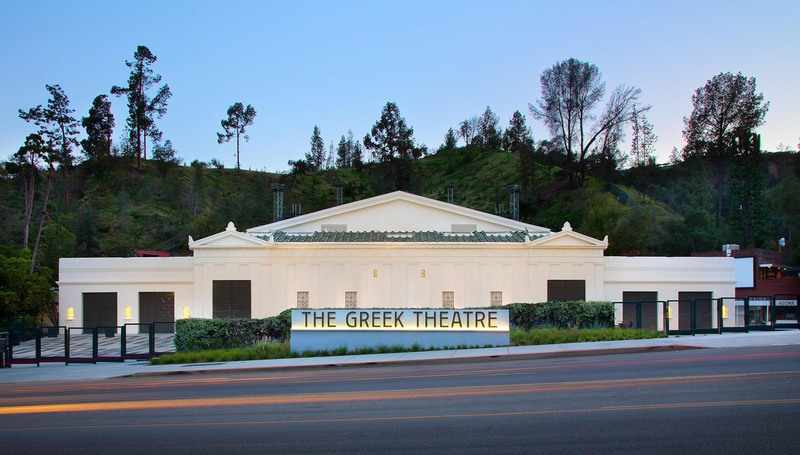 The story of place begins at the front door, where new signs and kiosks reveal the Greek’s history to visitors to Griffith Park, even when the theater is closed. 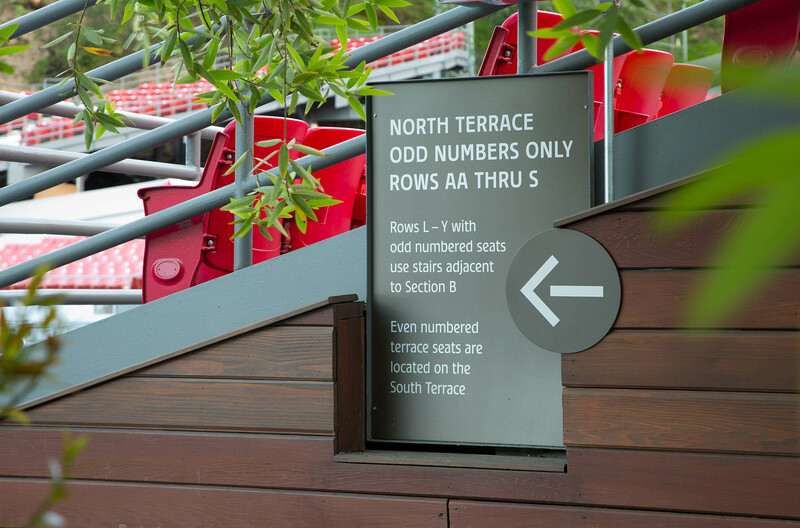 The informative, image-filled kiosks continue inside the theater in the form of wayfinding maps that direct guests to their seats. 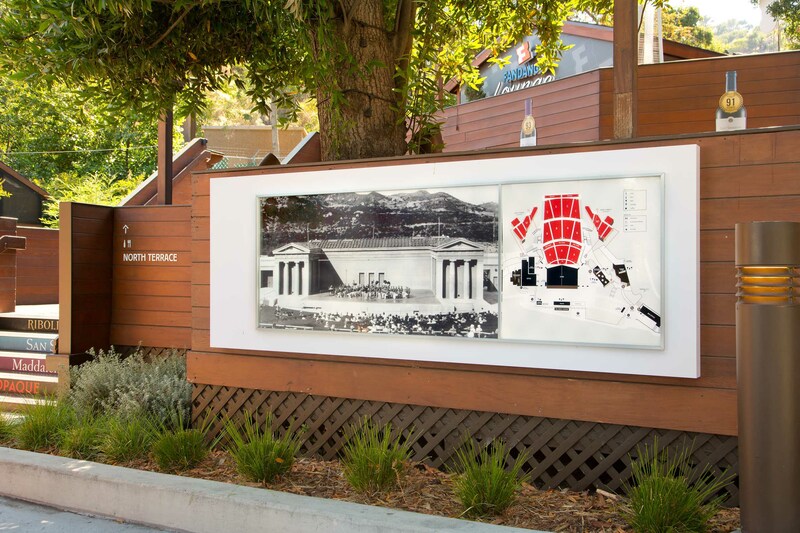 We added a new tradition to the Greek’s storied legacy: a three-dimensional archive of performance in the form of a signature wall of glass blocks autographed by every artist who appears at the Greek Theatre. 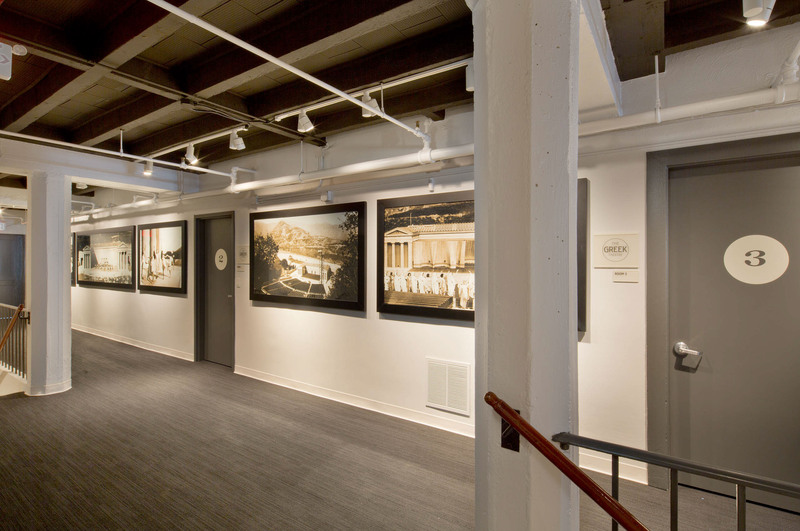 Sepia-tinted archival photos of the theater and Griffith Park line the hallway. 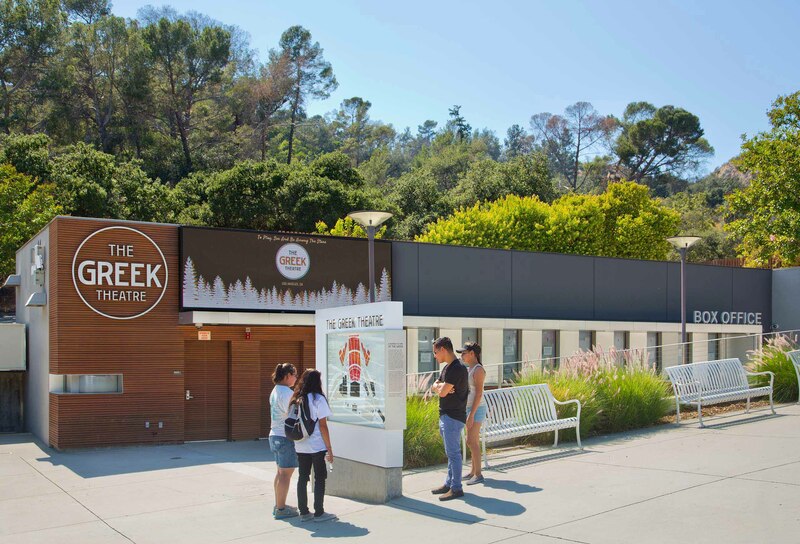 A new monument sign along Vermont Canyon Road, and a new logo and marquee above the box office complete the picture. 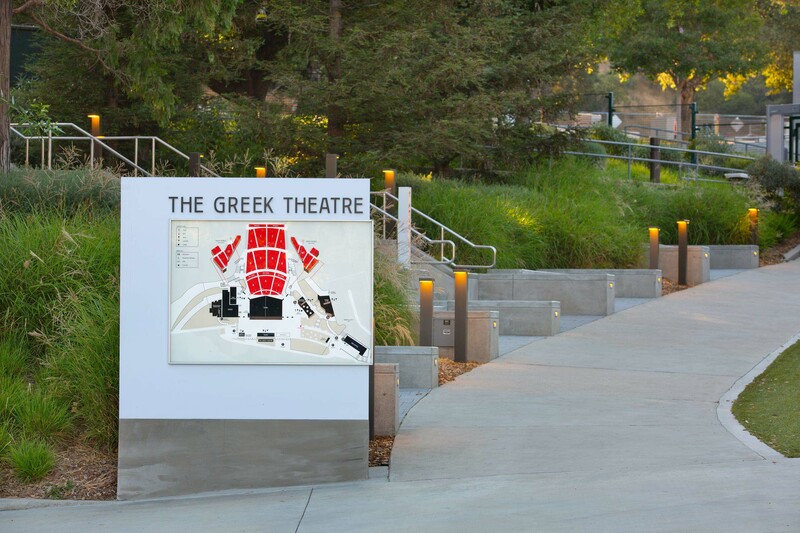 Illustrations of the Greek as it looked when it was first built adorn the walls of five newly renovated dressing rooms. 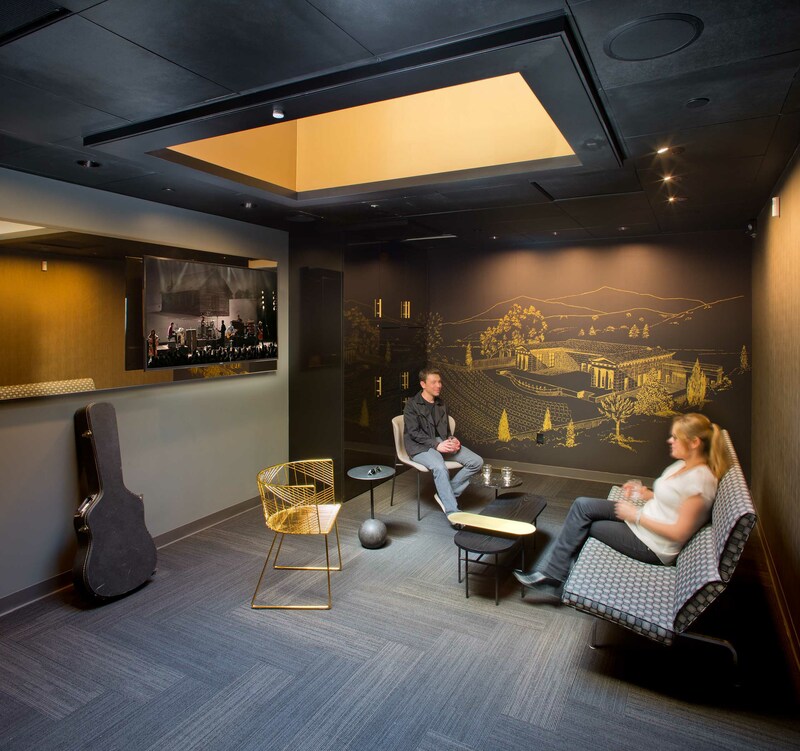 New skylights and comfortable seating make them a pleasant place for artists to relax before taking the stage.